I provide your business with stylish, high converting websites & proven online marketing solutions so you can increase your bottom line. Hi, I’m Raul. I deliver high quality websites using best practices to ensure they are mobile friendly, fast and ready to be found in search engines. 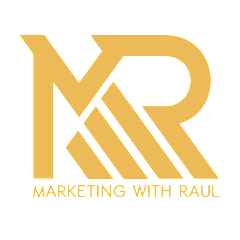 I am passionate about showing businesses how these systems are successfully generating a positive ROI for numerous businesses around the world and how they can do the same for their business also. Effective online systems demonstrate your authority, build relationships with your audience and invite your prospects to raise their hand in response to your offers. Effective follow up messaging increases the rates that prospects become sales. In this quick changing digital landscape businesses need to be able to stay top of mind, communicate their message effectively, and compel their audience to respond. I am enthusiastic about helping businesses accomplish these objectives. Get a high quality logo that speaks about your business. We take your vision & our graphic design know how to deliver a logo that represents your business perfectly. Google AdWords is an effective method for immediately showing up in highly visible spots on Google searches and is a good complement to SEO. Your website is your homebase. It needs to do more than look good. Your website needs to be fast, organized & look good on the different devices visitors use. Email is your private marketing channel. Don’t let this channel go stagnant. Stay in touch with them with relevant information and offers. Search engine optimization is the practice of helping your website rank for key search terms relevant to your business in organic search. We first start with a complimentary 15 minute consultation to assess your business. We make a strategic plan to overcome the challenges found in our business assessment. We launch the agreed upon strategy to overcome the obstacles and seize the opportunities. We measure our results from the launch and continue to test, implement and optimize. Great experience working with Raul. He was responsive and knowledgeable. So accessible. Always available to meet or to answer any question. He totally revamped our website and ramped up our visibility. So grateful to him, truly.